Three of Cincinnati’s most historic neighborhoods - Clifton, CUF* and Spring Grove Village – are united to grow a great new elementary school! We’re giving our children guaranteed access to quality public education. Visit this online tool to see if you live within the CANS boundaries. Enrollment for Preschool, Kindergarten, First Grade & Second Grade classes for the 2019-20 school year is now open. Please visit the Ed Center at 2651 Burnett Ave to fill out your information and join this great new elementary school. We are the CANS Advisory Group, a group of dedicated parents and community members. 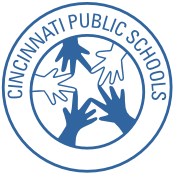 Partnering with Cincinnati Public Schools & University of Cincinnati Department of Education, it is our mission to help shape our new school so it may offer the best, well-rounded education for all our children and to take advantage of the people, places, and organizations in our community. Ready to take take advantage of this new opportunity in our community? Interested in enrolling older children? Please sign up for our emails! We will not sell/share or spam your account. We will give you news about the school.